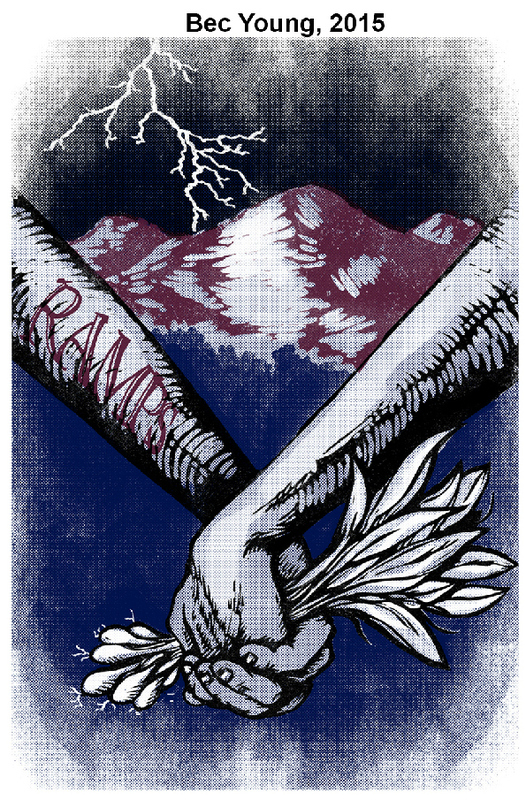 RAMPS | Radical Action for Mountains' and People's Survival. 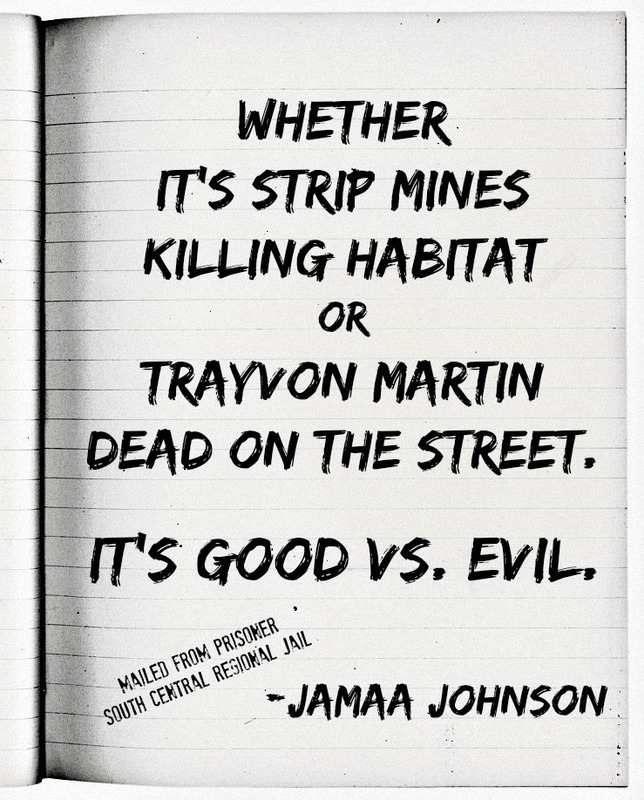 A direct action campaign based in Appalachia. For four decades, the Dineh communities of Black Mesa have fought to stop the U.S government and Peabody Energy Company's exploitation of their homelands and communities. Today, families remain, steadfastly resisting the mine, colonialism, and forced relocation. In the words of one resister, "WE NEED YOUR PHYSICAL PRESENCE OUT HERE, ASAP! WE don't ask for monies, just your good-spirited will to come out for a few days/weeks/months and immerse yourself into a cultural community under threat, and accept the daily challenges in supporting these native elders' existence. And yes, we are not asking for monies because we wish to maintain that human sovereignty, and not seek lawyers or travels to far off cities to protest." You are being invited to the resistance communities' lands to support their resistance and deter governmental and corporate harassment. Members of the Wet'suwet'en clan are re-occupying their land to stop an array of oil and gas pipelines planned for that area without their permission. As political prisoner David Gilbert (among many others) has pointed out, it's important that our local struggles take inspiration from and lend our strength to global struggles, especially those struggles led by indigenous people and people of color. RAMPS has supported the Unist'ot'en encampment financially and by volunteering, and we call on our friends and allies to do the same. "WE ARE THE STORM" CultureStrike and Justseeds Artists’ Cooperative: Art print portfolio highlights the resistance and resilience of communities under threat by climate change. Honoring the Waters ceremony and candlelight vigil in Charleston, WV. After wrapping up another successful Fall Summit, we’ve decided that a RAMPS update is long overdue! The past few months have been incredibly busy and trying for us, with our people, resources and energy spread all across the region. Spending time on Kayford with old and new friends reminds us how important it is to be sharing some of the incredible work happening across Appalachia. So, as we (finally!) experience some autumn colors throughout the mountains, here’s a bit about what we’ve been up to recently. Since February of this year, we have been supporting Appalachians Against Pipelines in their fight against the Mountain Valley Pipeline (MVP). This hazardous fossil fuel project is a 42-inch diameter fracked gas pipeline that is currently under construction from northern WV to southern VA. The MVP threatens the land, water, and communities along its route. Throughout the summer and fall, we have supported a series of blockades and nonviolent direct actions to resist the MVP. Two tree sits preventing tree felling in the pipeline’s path near Elliston, Virginia recently celebrated their 60th day in the canopy! Resistance to this dangerous pipeline has directly contributed to delays in construction, including the revocation of MVP’s construction permits in national forest areas, a federally mandated month-long work stoppage this summer, and a court ordered construction stoppage along river crossings in West Virginia. Our garden was blooming throughout spring, summer, and most of the fall! Neighbors enjoyed fresh tomatoes, peppers, chard, onions, and more throughout the season. We just picked our last bouquet of flowers after experiencing the first frost. We’re already planning for next spring and hope to build more raised beds and have a wider selection of vegetables! More recently, we helped host another free herbal health clinic with the West Virginia Herbal Medics. Volunteer herbalists offered free consults and herbal medicine in Whitesville’s community center. The herbal clinic then joined us on Kayford for a day at Fall Summit. We were excited to co-host the Fall Summit on Kayford with Appalachians Against Pipelines just a couple weeks ago. This year, it felt more important than ever to spend time with our community on Kayford talking about Appalachian history, prevalent issues, and resistance. It was a space to connect our fight against fossil fuel pipelines in West Virginia to other struggles and organizing throughout the region. We are grateful to everyone who came out for a cold weekend on the mountain full of workshops, discussions, trainings, storytelling, and fun! We can’t continue to fight pipelines, build community gardens, and host fall summits and mac and cheese cook offs without your support! 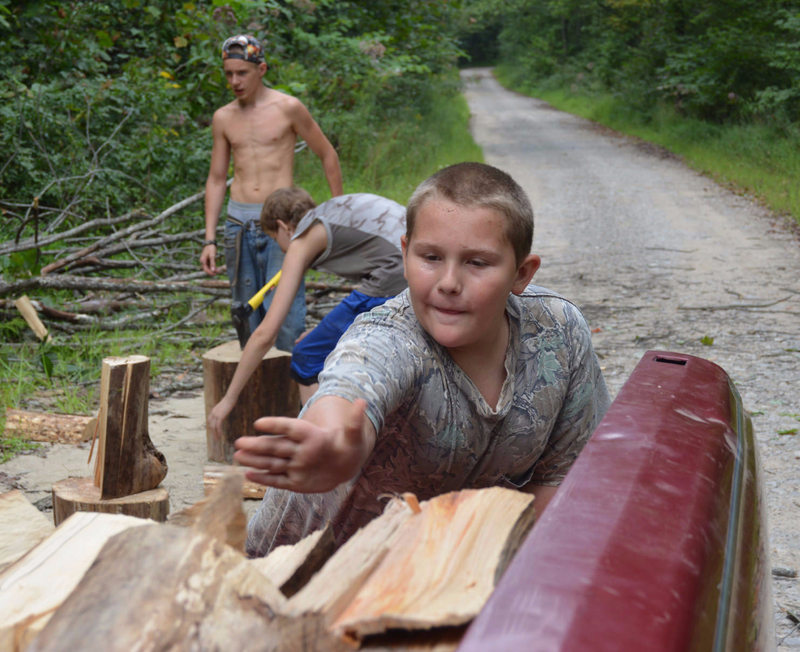 Please consider donating to RAMPS so we can continue our work in Appalachia. Feel free to get in touch with us at [email protected] or come visit and volunteer with us! If you’re interested in joining the Mountain Valley Pipeline resistance, find Appalachians Against Pipelines on Facebook, or reach out. Resist! All Day, Every Day! September 2016 Update: A Big Win! Deepening our Roots and Growing our Reach: we’re buying a campaign house! Want to support a community living at the front-lines of toxic waste disposal in West Virginia this summer? Come to the March for Justice in Minden! On Saturday June 8th, Minden residents will recreate a march that took place 30 years ago to demand justice and relocation for residents suffering from the impacts of PCB dumping and mourn the lives that have been lost to toxic exposure. The community of Minden, WV has been suffering from the impacts of industrial pollution and governmental neglect for decades. Since the Shaffer Equipment Company disposed of transformers containing toxic PCB chemicals, hundreds of Minden community members have suffered and died from cancers, neurological diseases, and other various health issues related to the long term impacts of PCB exposure. To this day, PCBS still infect the soil of this small, tight-knit, diverse community in rural West Virginia. Just this past year, in a town of less than 250, 15 Minden residents died of PCB-related illnesses. As a low income community, few people in Minden have the ability to move their families to safer, healthier locations. Today, Minden residents are demanding that the EPA and the US Congress fund remediation and relocation for all residents so that everyone has a chance to live out their lives in an environment that is healthy and safe. The march will begin at the Minden Community Center at 3 PM and end at approximately 5 PM at the Oak Hill City Park. There will be a motorcade following the march for those who are unable to walk. Water and refreshments will be provided. Please email [email protected] if you or your organization need assistance finding housing. Come help us amplify the voices of Minden residents and demand an end to this needless suffering. Ramps Campaign shared a post. "What’s next for Highlander is that we will continue to be that sacred place, that movement home, that place where strategy is developed, that place where principled struggle happens, that place that accompanies movement, that place that incubates radical work, and that place that demands transformative justice. "It’s time for our people to hear more from us. Love and continued commitment to building the world we deserve! Please take a moment to read our official statement. Share it around far and wide.